Prior research on fundamentalist religious movements has focused attention on the complicated relationship among gender, family, and religion. 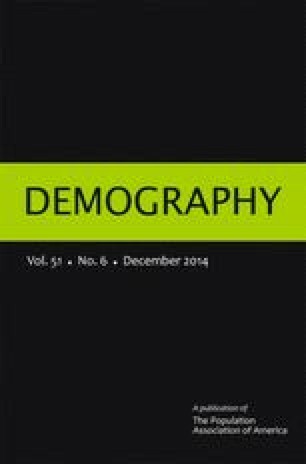 Using data from a nationally representative survey of 30,000 Hindu and Muslim women, this study compares the daily public and private behaviors of women in India to examine how gender and family norms are shaped in the context of communalized identity politics. Building on the theoretical framework of “doing gender,” we argue that because communal identities are expressed through externally visible behaviors, greater religious differences are expected in external markers of gendered behaviors and family norms. Results indicate that Muslim women are more likely to engage in veiling and less likely to venture outside the home for recreation and employment. However, religious differences are absent when attention is directed at private behaviors, such as household decision-making power, gender segregation within households, and discrimination against daughters. Results underscore the multidimensionality of gender. We gratefully acknowledge support from the Eunice Kennedy Shriver National Center for Child Health and Human Development grants R01HD041455, R01HD061048, and R24-HD041041. Supplementary funding was provided by The Ford Foundation and UK Government as a part of its Knowledge Partnership Programme. India Human Development Survey (IHDS) was jointly organized by the University of Maryland and the National Council of Applied Economic Research, New Delhi. We thank Reeve Vanneman and anonymous reviewers for comments on prior versions of this article. Note: Standard deviations are shown in parentheses for continuous variables.